Do you know the answer to the question – Is my office as efficient as possible? If your answer is yes, have you ever had someone other than yourself or your staff, examine the administration for optimum efficiency? Although we are usually our own worst critics in many aspects of what we do, it’s hard for us to notice how efficient our business processes of doing things are. Not only are you busy running a business and getting new clients, you’re wearing several other hats to run your operation. How is it possible to pay attention to the efficiency of how these things are getting done? Some things are easy to notice but for the most part, you’re in survival mode just getting through each day, happy that your business is still running. I’ll give you a few examples depicting different ways in which productivity and efficiency can be overlooked. I worked with a Berkeley, CA roofing company in 2016, who had been in business for over 40 years. Obviously, they’ve been doing something right if they’ve maintained their business for this long, even through the recession. Admittedly, the owner knew he had several areas that needed improvement within the administration. His main concerns were, prompt communication with clients, collecting payments, and scheduling. Believe this, they were still using a type writer to draw up contracts, they didn’t have a website and emails and phone calls were backed up for weeks. In the case of this roofing company, it was simple to suggest modernizing those tasks because the owner and his wife (the only administrative staff) were open to change. First of all, they recognized their deficiencies and were willing to incorporate new protocols. The difficult task for them was knowing where to start and how to actually put things into play. Choosing the right CRM for them was the most crucial decision I had to make but was one of the most significant improvements for them once it was in place. The next most important part was to streamline communication and scheduling. We had to decide which phone calls should be directed to whom, and a standard for how to answer questions for those who called asking to speak to the owner when the person answering the phone was capable of helping them. Delegating was very difficult for this duo so, setting up protocols for them, ultimately had their office running smoothly. We just touched on an easy situation, now you get to “hear” one of my stories about a dental business owner in Berkeley, CA, who was oblivious to the fact that she was her own worst enemy. (There’s several of these stories and most of them are dentist’s, sorry dental friends but you know how you are.) Let me see if I can tell you about it without ranting. I guess the worst thing she was doing was micro-managing her staff. She has constant turn-over to this day. (It’s been 4 years since I met her.) What’s the point of having staff if you’re gonna go back and redo everything they’re responsible for? She added extra steps to every task in the front office, thinking she was being productive but it never allowed the staff to complete the tasks they set out to do each day. She did front office work on her off days, worked practically every day even on Thanksgiving day once – she was open only 3 days a week. Sadly, she only incorporated the new fees I suggested but nothing else. The income she produced each month was between $20k – 30k when the average dentist working 3 days per week clears at least $40k to $50k per month. She didn’t want to advertise or make any investment in marketing, whatsoever. Needless to say, nothing has changed for her or her practice. Efficiency in an office can be noted in numerous ways and there is always room for improvement. 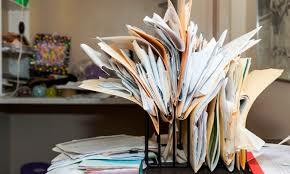 Perhaps your forms, software or website are outdated, or there are no set protocols causing staff to each make up their own ways to do things, maybe your office needs physical organization in general. All of these things can cause counter-productivity and a loss of revenue or even loss of potential new business. Every company, large or small, should consider obtaining an evaluation of their office productivity by an outside, knowledgable source. The information you receive will help you address what you may have never otherwise noticed. It’s never easy to listen to our flaws pointed out but, if you truly want to be better or as best as you can be and ensure your dollars are maximized, you will look for the errors and make the necessary improvements. Since when is anyone perfect or incapable of learning something new?